If Hong Kong had a national sport, it would be eating. Food is at the heart of day-to-day life in the city, and for travelers, that means hundreds of opportunities to eat their way around this eclectic city. 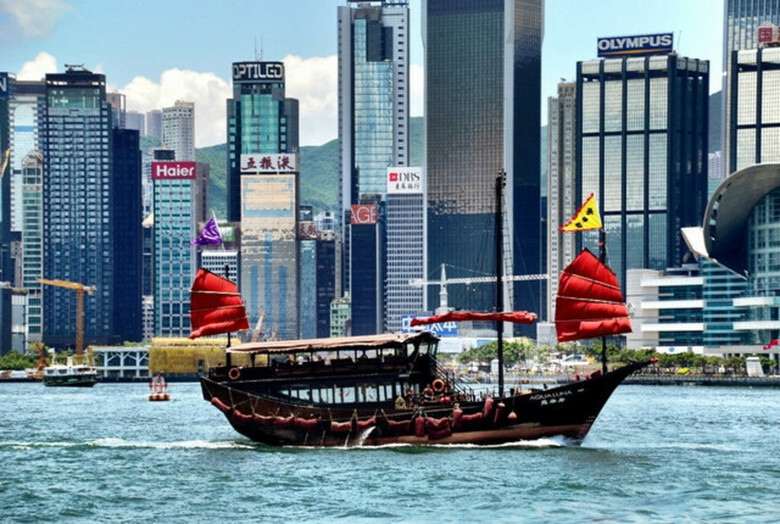 One of the great cities not only in Asia, but the world, Hong Kong is exciting, fast-paced and always changing. That means that for tourists, it can be hard to know what to see and do since everything always seems to be in flux. But there are a few iconic experiences that everyone should have, as well as some special moments that take a while to figure out on your own. It's one of my favorite cities. Here are my top picks on how to experience the best of Hong Kong whether you're there for a day, a week or longer. If Hong Kong had a national sport, it would be eating. Food is at the heart of day-to-day life in the city, and for travelers, that means hundreds of opportunities to eat their way around this eclectic city. Drawing upon its proximity to the Chinese mainland, traditional meals are common, but Hong Kong is also a very international city and its unique history means that you'll find a little bit of everything, if you're willing to look for it. 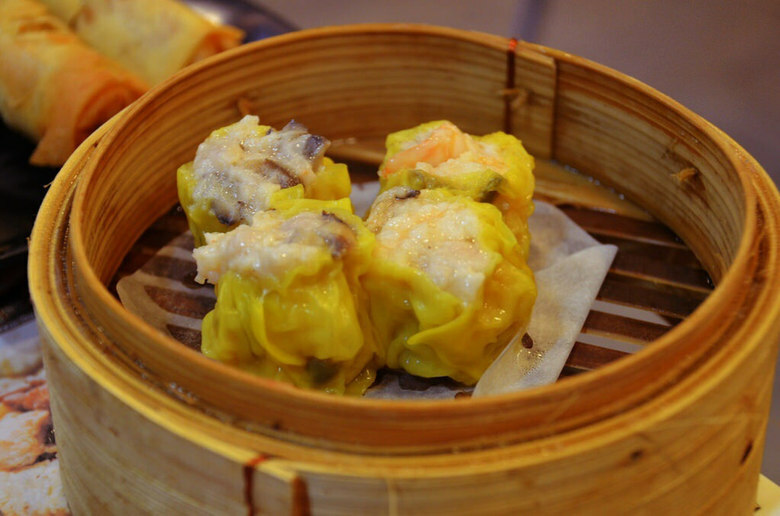 Starting with the classics, you must experience traditional dim sum at least once during your stay. If you're new to the concept, dim sum is a traditional Chinese meal experience featuring individual portions served in small steamer baskets or on small plates. It's also an easy and fun introduction to Chinese cuisine. For a truly unique dim sum experience, be sure to stop by Tim Ho Wan for the cheapest Michelin star experience you'll ever have. The King of Dim Sum features the quality of food you'd expect from a Michelin restaurant, but at traditional dim sum prices. It's not every day you can say that you enjoyed an amazing Michelin meal for $10, but this is just one of the many culinary surprises found all around Hong Kong. Another traditional staple is the BBQ Pork Bun, my personal favorite dish. Found at any number of dim sum restaurants around town, cha siu bao, as it's known, is savory pork inside a steaming hot bun. They're easy to find, but if you want one last one before leaving town be sure to try them at the Wing lounge operated by Cathay Pacific inside of the Hong Kong International Airport. Of course, Hong Kong is a very modern city and that has definitely affected the culinary scene as well. 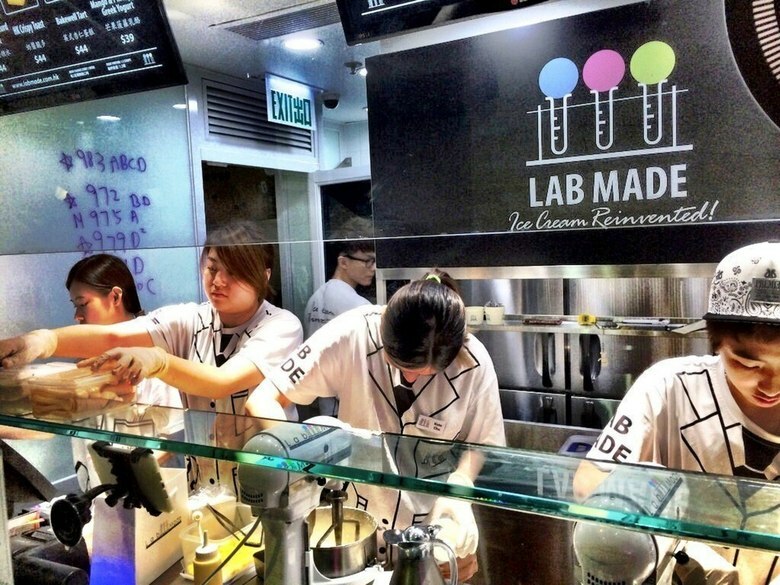 For a strange but delicious adaptation of the traditional ice cream cone, plan an after-dinner stop at Lab Made Ice Cream. Created by scientists turned foodies, the always changing menu is off-beat (toast ice cream anyone?) but the process is a show for all to watch. Flash frozen in front of your eyes with liquid nitrogen, it's fun to watch as the science experiment becomes your next snack. Drawing upon a long and interesting history, there are a lot of fun experiences around town for the first time visitor. While I do love those, I always want to highlight a few that may not be on the standard lists, but will transform your trip to Hong Kong into something truly extraordinary. Well known amongst locals, stopping by Lantau Island is a full day event, but a great way to see the "other side" of Hong Kong. You may be surprised to learn that Hong Kong is actually made up of hundreds of islands, only a few of which have people living on them. Convenient to the local subway system, Lantau Island is one of those other islands and has a lot to offer visitors. 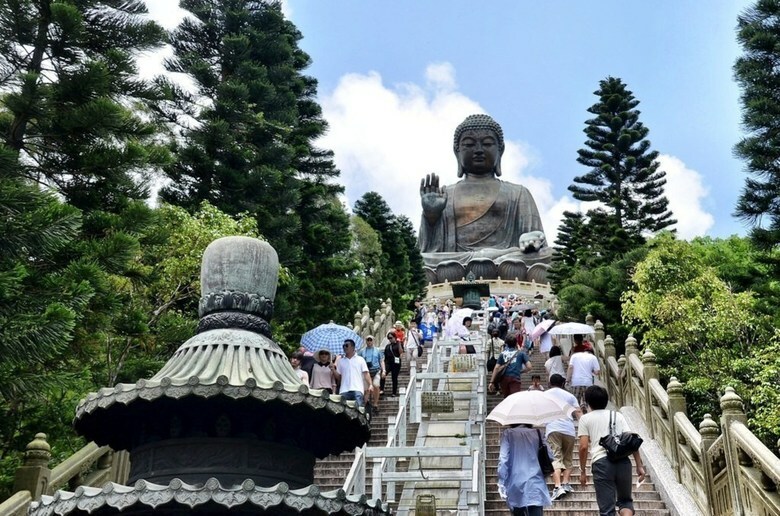 The focal point on Lantau is the Big Buddha, known as the Tian Tan Buddha. New to the landscape, it was built in the early 1990's and has become a major pilgrimage site thanks to its colossal size -- it was the largest seated outdoor bronze Buddha in the world when it was built. To reach the Buddha, visitors must tackle 268 steps, not easy on a typically hot and humid Hong Kong afternoon, but well worth it. For something a little closer to town, and air conditioned, a visit to the PMQ or the Police Married Quarters should be on your agenda. A great example of reclaiming abandoned buildings, this once neglected spot is now the hottest address in town featuring dozens of small designers, artists, shops, and cafes, all on the cutting edge of their crafts. It's also just a beautiful space and a nice way to get out of the weather and see what locals like to do in Hong Kong. Ok, I have to include at least one iconic activity and for me that's a trip up to the Peak. A city of hills, The Peak was once where the wealthy British colonists lived and, today, the houses perched on the high peaks are still amongst the most sought after addresses in town. The Peak also offers amazing views, which is what tourists flock by the thousands to see. The Peak is easy to reach, just take the Victoria Peak tramway to the top, a fun experience in its own right. It's hard for any first time visitor, or even repeat visitors for that matter, to get beyond the tourist veneer and get to know cities on a more personal level - to really live like locals. 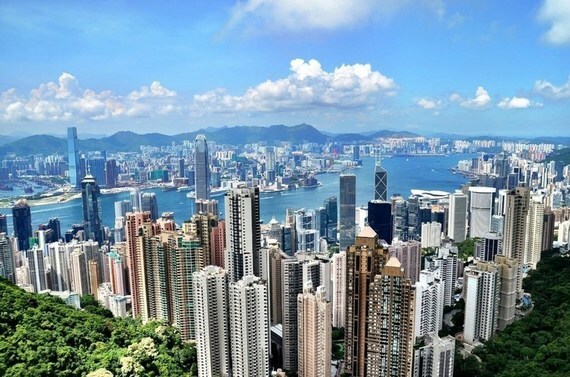 Thanks to the constant influx of expats though, Hong Kong makes it a little easier than most allowing even tourists in town for a day or two to feel like they belong. Here are some of my favorite local experiences in Hong Kong. It may sound a little boring, but locals know that their subway system - known as the MTR - is amongst the best in the world. Not only is it very easy to use and understand, it's a fairly comprehensive system that takes riders to all areas of the city and even beyond. From Kowloon to Hong Kong Island and even the connections to Lantau Island and Hong Kong Disney, the MTR is the only way to travel in Hong Kong. The stations are also immense and with seemingly countless shops and restaurants that are a lot of fun to explore. Don't forget, at its heart Hong Kong is a foodie city and while the dim sum is great, locals also enjoy some of the best selection of fine dining experiences in the world. 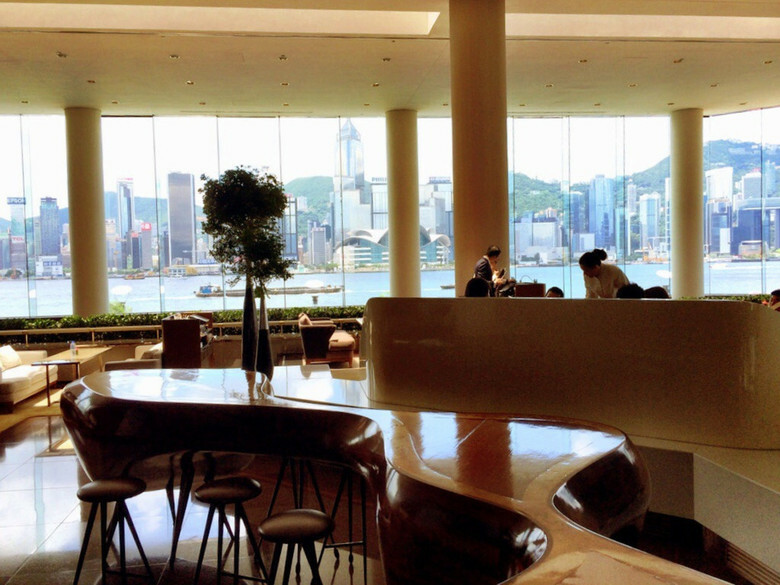 It seems like every other restaurant has a Michelin star or two, but one of my favorites is actually found in the harbor-side InterContinental Hong Kong -- Yan Toh Heen. They specialize in modern twists on classic Chinese cuisine, like my personal favorite, the Peking Duck. I loved that the chef didn't try to alter the traditional recipe, but instead prepared and presented it with a modern eye and aesthetic. Whether it's at SPOON by Alain Ducasse or NOBU, you certainly won't go hungry at the InterContinental. So there you have it, some ideas and recommendations on how to experience the very best of Hong Kong. Have you been? What do you enjoy doing in this massive but fun city? Let us know on Findery. Follow more of Landlopers' adventures on Findery.